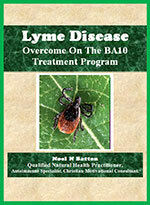 “Lyme Disease Overcome On The BA10 Treatment Program” is an eBook that explains Lyme disease from a natural therapies viewpoint and it is designed to supply solutions for both mild symptom-affected patients and advanced symptom-affected patients. 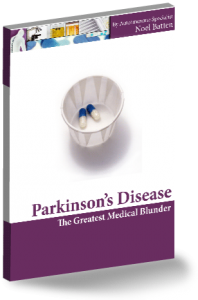 In this eBook I explain that it is impossible for the Lyme bacteria to cause symptoms on one side of the body only, unless that one side is already experiencing degenerative problems that cannot be overcome with antibiotic treatment. If “YOU” have been diagnosed with Lyme disease and your symptoms are predominantly on one side of the body, DO NOT LISTEN TO MEDICAL DOCTORS WHO CLAIM YOU NEED LONG-TERM ANTIBIOTIC TREATMENT, BECAUSE THIS WILL NEVER GIVE YOU REMISSION OR A CURE FOR LYME DISEASE. It appears to me that these four disorders are, as far as I can see, very much the same simply because all patients diagnosed with these four disorders, experience the same symptoms, and after gaining success while treating a Lyme patient and a Sarcoidosis Lung Disease patient, who were both immobilized in the same manner as are Parkinson’s patients and MS patients, I have proof that my treatment works on all four of these disorders. I am assuming that I will receive many objections to my claim that Sarcoidosis Lung Disease and Lyme disease are the same diseases as Parkinson’s Disease and Multiple Sclerosis, simply because Sarcoidosis affects the lungs and the lymphatic systems, and people believe that “all” Lyme disease symptoms are caused by a bacteria, so allow me to explain before you jump to any unfounded conclusions. While you read my explanation, please don’t forget, some people who have tested positive with Lyme disease, experienced no muscular immobility symptoms at all, and the reason for this is because their immune system would have been verry strong and their oxygen saturation reading would have been high enough to prevent an anaerobic bacteria from causing any strain on the nervous and muscular systems. I believe that advanced, or Chronic Lyme Disease patients already had “MS-type weak areas” developing before the Lyme tick came along to delive the Borrelia bacteria and that these “MS weak areas” are caused by excess muscle stiffness that have provoked skeletal problems, most commonly in the cervical spine. Take a look at this X-ray comparison of a healthy cervical spine on the left, and the cervical spine of my client, Nina Wolf, whose Chronic Lyme disease symptoms were all caused by the degeneration seen in her cervical X-ray. 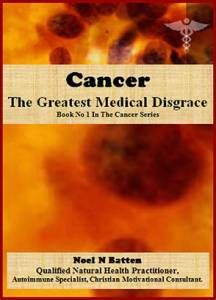 It is absolutely impossible for the Lyme bacteria to cause these serious cervical degeneration problems. It Is Impossible For Lyme Bacteria To Cause This Cervical Degeration, But This Degeneration Was Causing Her Symptoms. My client Nina was diagnosed by more than one of the best medical Lyme disease specialists in the USA, as having Lyme disease yet I found that all her symptoms were being caused by this severe cervical degeneration you see in the above X-ray. 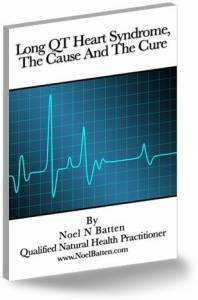 I believe all advanced Lyme disease patients will be found to have some degree of degeneration in their spine which will be responsible for their symptoms. Whilst I agree that the Lyme bacteria still needs to be eliminated, I don’t believe that is a difficult task. The difficult task is to overcome these muscular-skeletal causal problems which is my specialty on the Five-day Personal Treatment Program. Now watch this “Before” and “After” success video of my very advanced Lyme patient Nina who experienced 50% reduction in her symptoms in only 5 days on my treatment program, and then read the information below it about my belief that there is two groups of causes for Lyme disease. As you saw in the above video, Nina had severe immobilization problems on the left side of her body which were obviously being overcome by me treating her cervical spine to help her regain the normal curve and help her regenerate those three degenerated discs. This means, no matter how long she was given antibiotics she would never have gained any improvement from them. Just like multiple sclerosis, medical experts are completely on the wrong track with their diagnosis and treatment of Lyme disease. 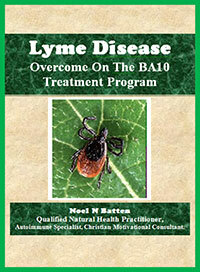 If you would like to inquire about my BA10 Treatment Program for Lyme disease, email me NOW! As my eBook “Miraculous Treatments, Testimonies and Cures” explains herbal treatments that have overcome HIV, Chlamydia and Candida, and also explain many helpful ideals on how to strengthen the immune system, I recommend Lyme patients also purchase this eBook for reference. 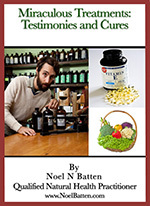 As a result I am offering these two eBooks for the cost of the Miraculous Treatments eBook only. This means you can purchase both these eBooks for the price of one. THESE 2 BOOKS ON SPECIAL NOW!